Select northern basswood. 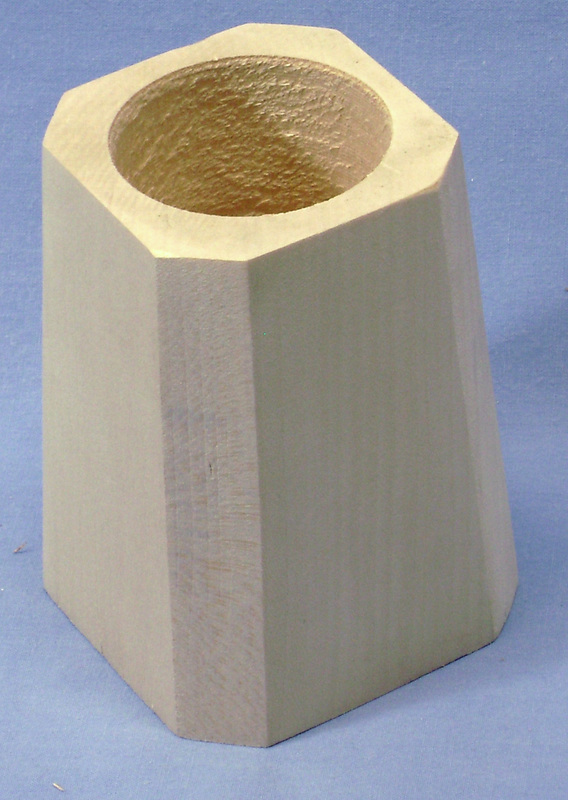 3 ½” tall, 2 5/8” square at base and 2 ¼” square at top. Chamfer on 4 corners.